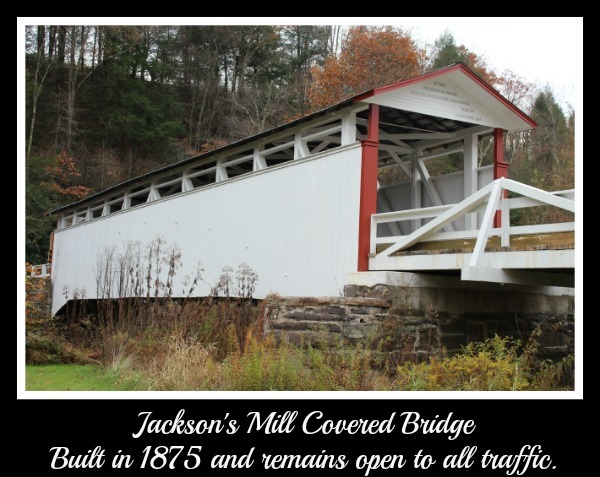 14 Covered Bridges you can easily see in one day! 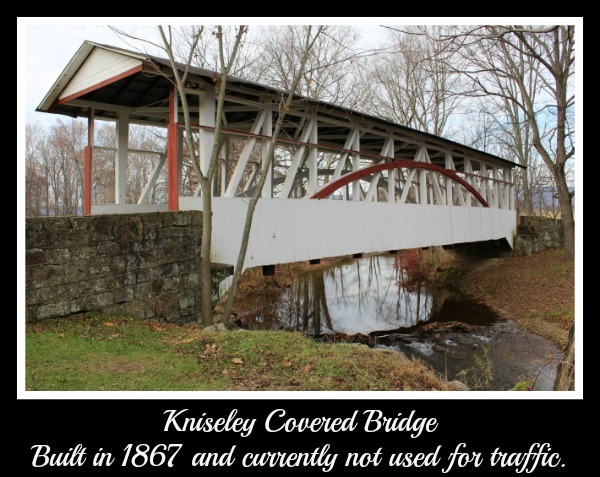 Covered bridges built in the 1800’s are awe-inspiring, historical and beautiful. 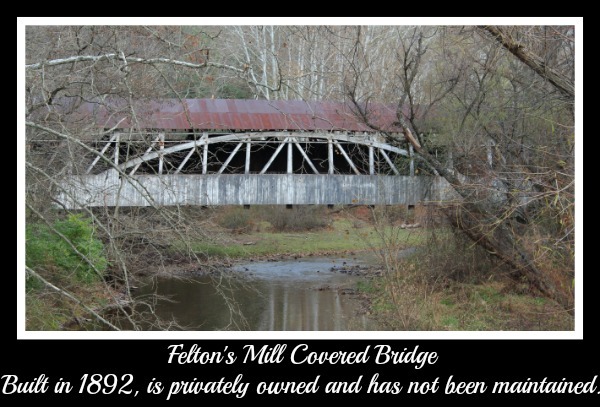 That statement might seem like it’s a little over the top to some, but to others that just love old covered bridges like I do, it’s not. In fact you understand, you get it! 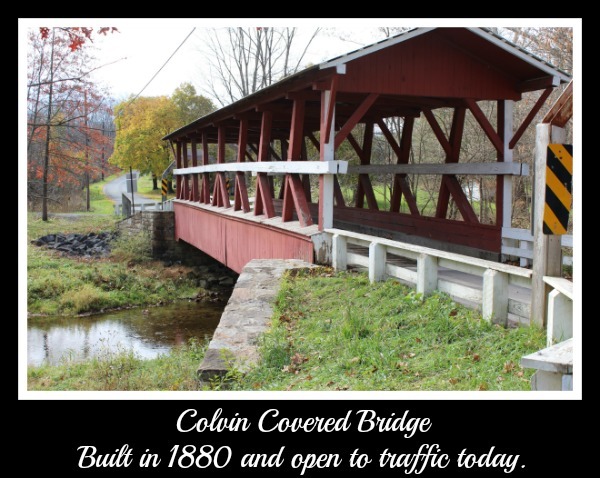 And which state has the most covered bridges? Pennsylvania. 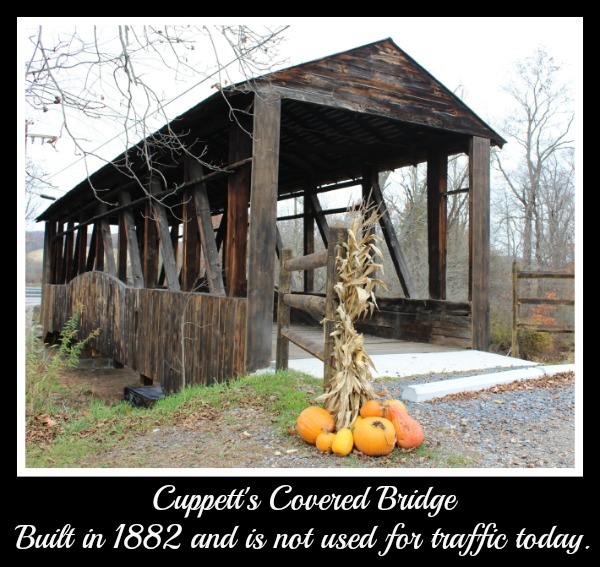 And it just so happens Pennsylvania is not too far from where we live, so when we were contemplating a trip to look at fall foliage it made sense to combine that with checking out some of the covered bridges. 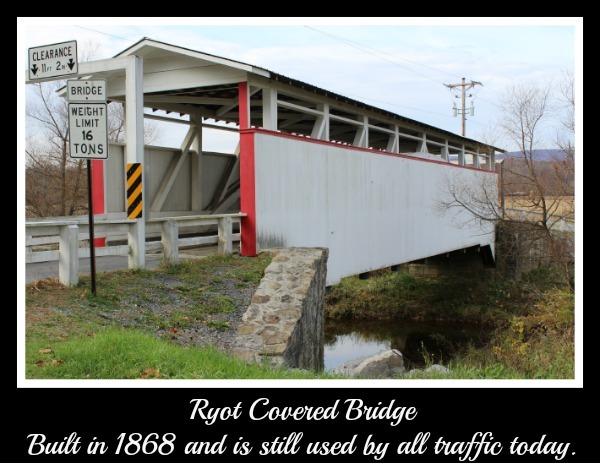 We chose Bedford County, PA as our destination. 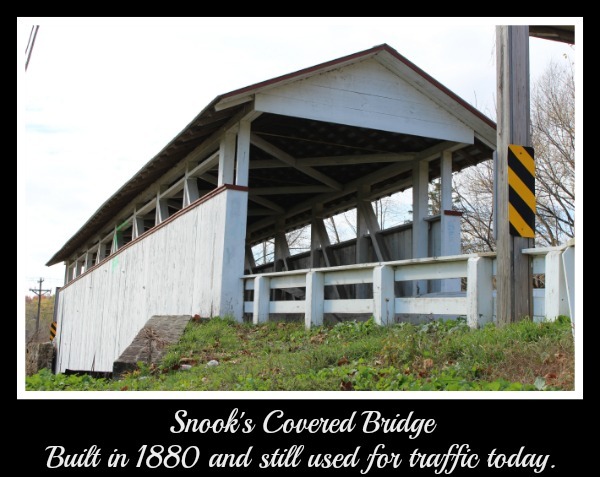 There are 14 covered bridges in Bedford County and 10 of them are on what is fondly referred to as the Covered Bridge Loop. 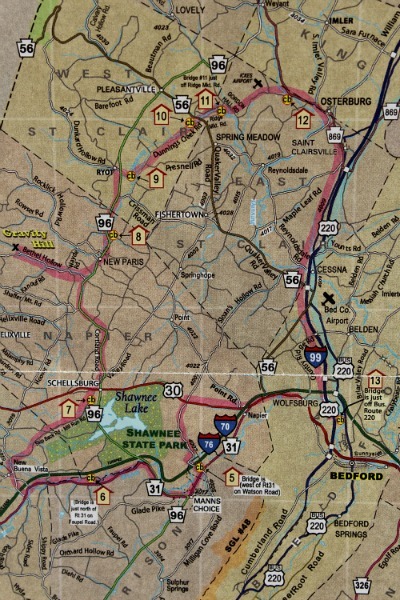 Our starting point was the Chamber of Commerce in Bedford, PA to acquire a map that covered the loop. Bedford is a quaint town with a population of about 3000. As we drove through town I saw many little antique and specialty shops, coffee shops and restaurants that I would have loved to have had time to walk though. 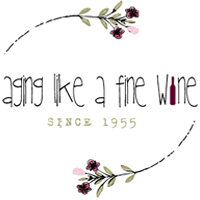 Old Bedford Village is just outside of Bedford as well and is a living history village with artisans performing crafts the way they were done in the early days of our nation. We decided today that this is somewhere we will come back to when we can spend a leisurely weekend. As I stood on these old bridges I found my mind wandering to all of the things they could tell us if they could only talk; from the men that put blood, sweat and tears into building them, to the many horses, wagons and carriages that crossed over them, to the lovers strolling across them hand in hand, to the first automobiles that rumbled across them, all the way to today’s current age of fast and sleek autos. 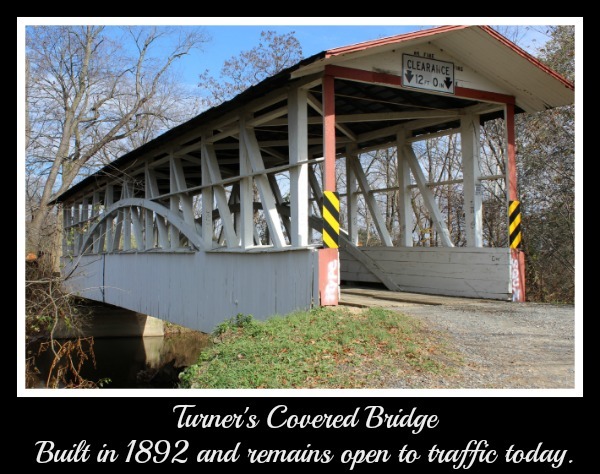 We visited 11 of the 14 bridges in Bedford County today. 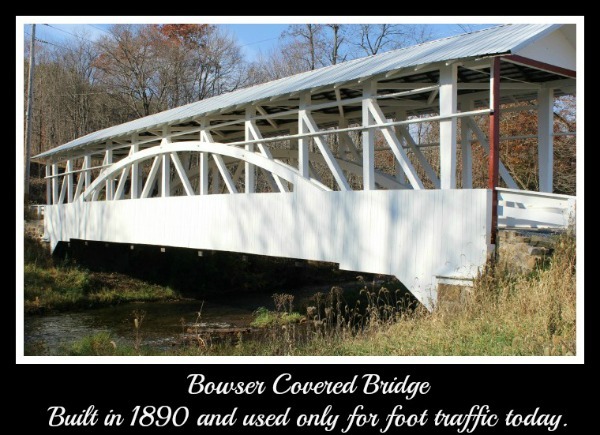 It was fun, almost like a scavenger hunt seeking out bridge after bridge. 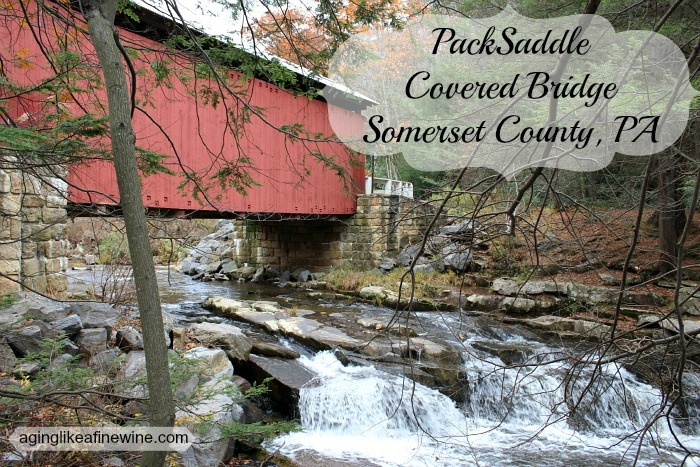 Our day included a side trip into Somerset County to see PackSaddle Bridge. 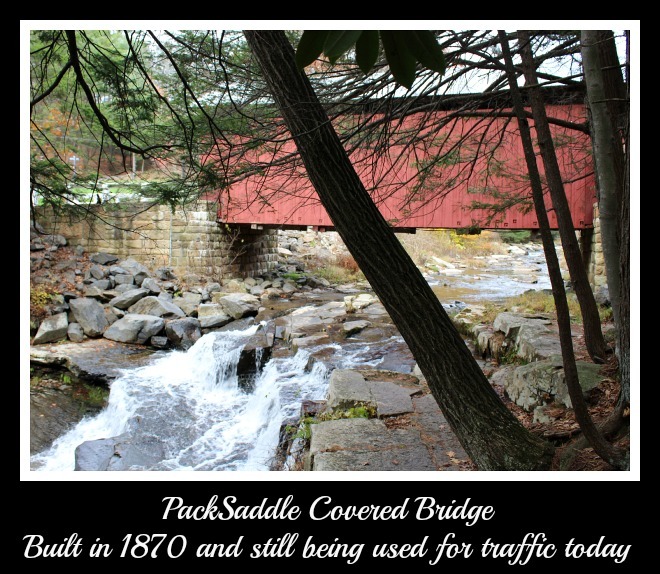 At one of our stops we were told by some other bridge hoppers that it was built over a waterfall and was a must see. Which it was; we were glad we made the detour. We took a second side trip to find Gravity Hill. 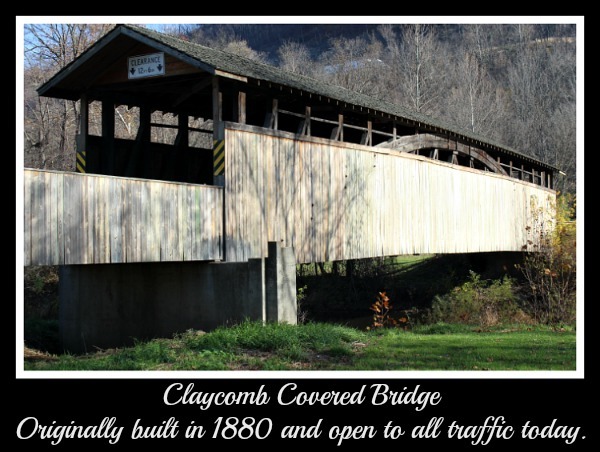 If you ever visit Bedford County, this is a must see. You truly feel like your car is defying gravity and rolling uphill! It was a bizarre feeling! My only disappointment in the entire day, was that most of the beautiful fall foliage was already gone. We should have gone a few weeks earlier for optimum color. Other than that, it was such a memorable day. 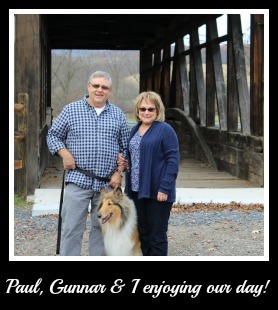 I enjoy our road trips because it really provides time to talk without interruption, and this day was no exception. We talked and laughed and enjoyed! Hi Kimmie, Thank you so much for reading. 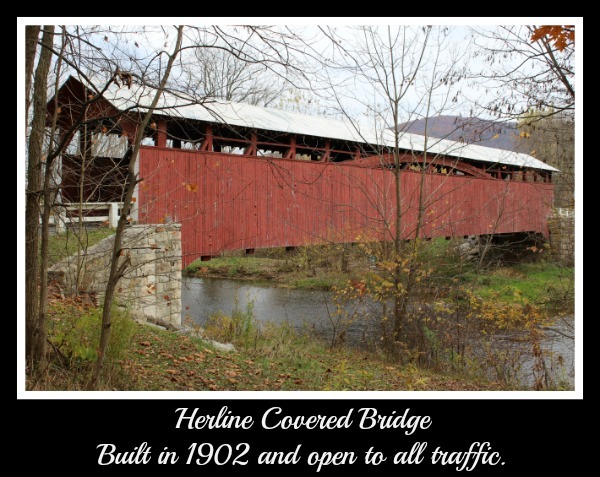 Yes, the covered bridges are beautiful. As I’ve grown older history has become much more meaningful to me and these are a part of our history. I would love to get to see England one day! I can only imagine the beauty and history there!